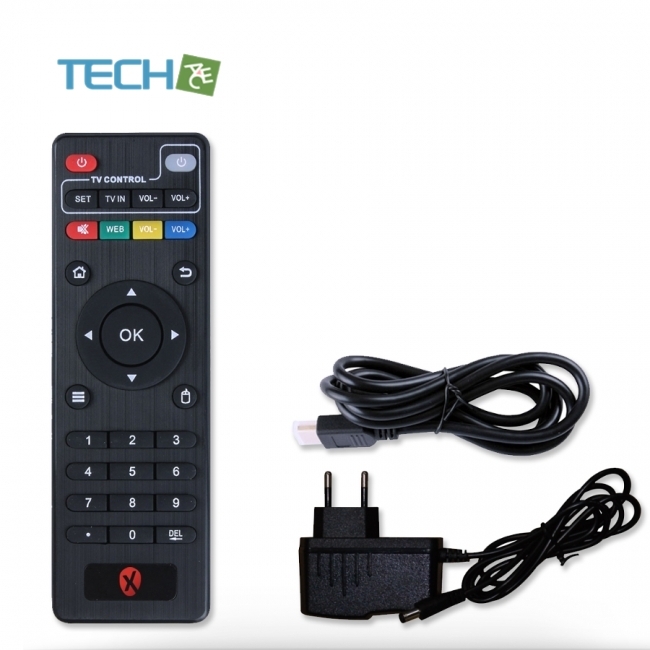 There is an optional operating system pre-installed on your Xtreamer mxV called OpenElec. It is a small, light and lightning-fast Linux based Just Enough Operating System (JeOS) built from scratch as a platform to turn your Xtreamer into a Media Center..
Xtreamer mxV is a universal entertainment system based on Android 5.1 Lollipop OS (with an optional OpenELEC system) powered by the latest 2016 Amlogic Quad-core S905 Cortex A53 processor. 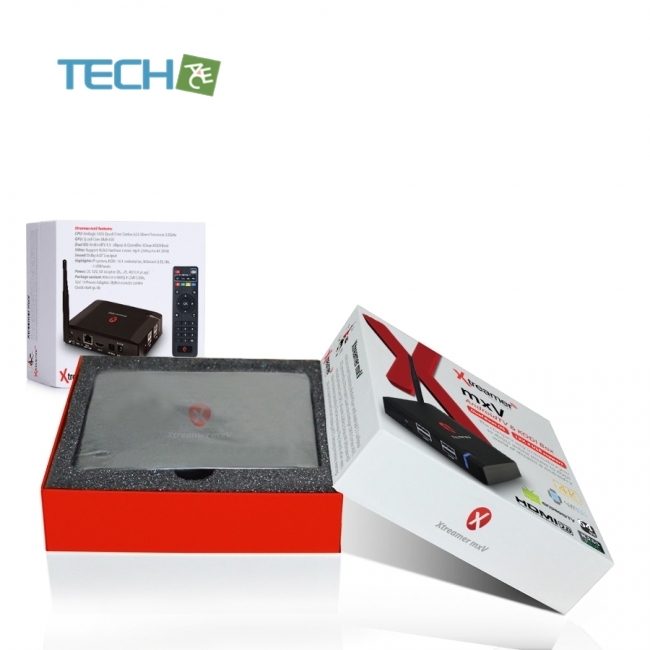 The device also features a Penta-Core GPU capable of the uHD video playback up-to 4K resolution, hardware H.265 decoding, as well as essential pre-installed applications such as AirPlay, DLNA and Miracast streaming protocols and much more. The device fully supports Google Play Store allowing you to bring hundreds of thousands of Android apps to the big screen. Play media files from your personal library, stream them from online services, browse the internet, interact with your friends via communication applications, use social services, check your mail and even play game on your Xtreamer mxV. Quality engineering and an incredible price as well as custom operating systems (!) with multilingual support will make this multimedia entertainment center a perfect choice for your bedroom or the kids room. Your Xtreamer will come from factor pre-installed with the latest version of the award-winning free and open source (GPL) software media center for playing videos, music, pictures, games. Expect a clean environment with no video add-ons installed. The newest and the most advanced Amlogic s905 processor brings more advanced silicon processes, more transistors working in faster speeds resulting in major system boost in performance and stability. Dramatic viewing experience that delivers four times as much detail as 1080p Full HD, that's eight million pixels compared to two million pixels. Upto 2160P. Discover the fast growing army of apps specifically designed for the big TV screen, browse for movies, TV, music, radio and more in Google Play built-in or via your PC. 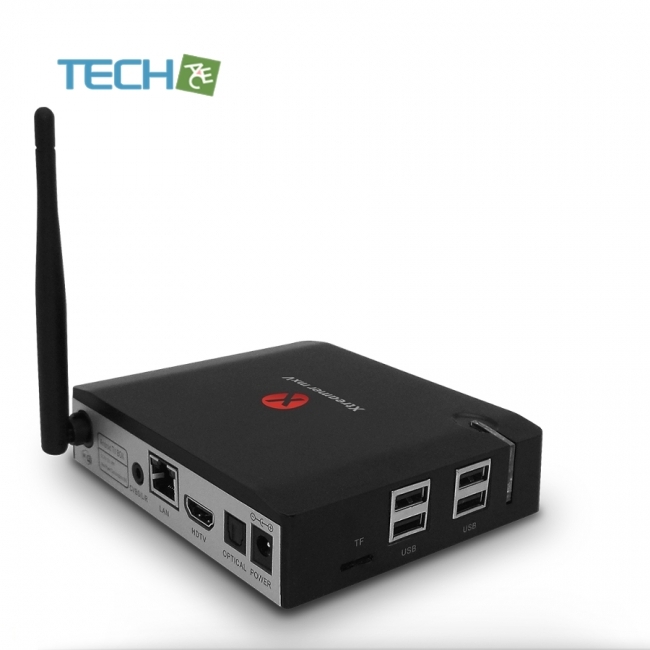 Your Xtreamer mxV is equipped with Realtek RTL8189 WLAN module/10/100 LAN that offers customers the excellent performance, high reliability, cost-effective and low power consumption wireless LAN module choice. A Wicked Fast! Puffin web browser supports the latest Flash Engine and considered one of the best web browsers for the Android Eco-system. 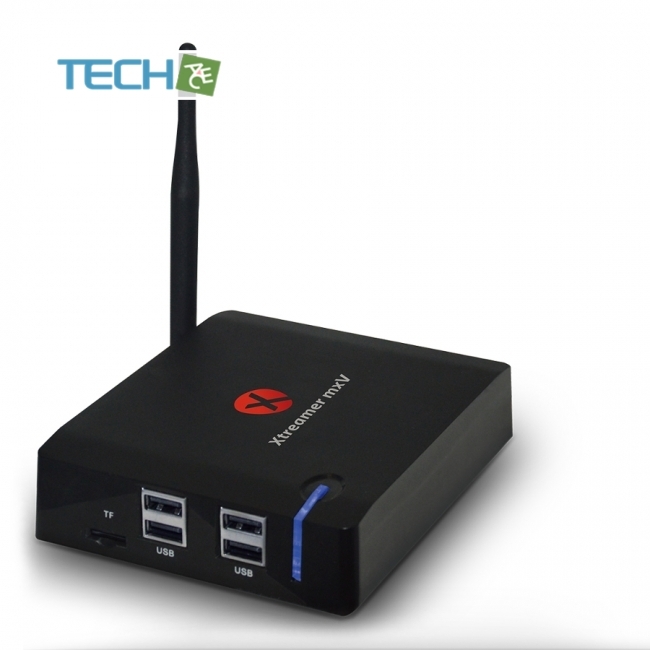 Your Xtramer comes built in with groundbreaking solution for seamlessly displaying video between devices, without cables or a network connection. You will more conveniently be able to mirror your screen or use the cast feature from supported applications. Splashtop is the easiest, fastest, secure remote desktop app for accessing your Windows or Mac computer from anywhere and at anytime! AirDroid allows you to access and manage your Android phone or tablet from Windows, Mac or the Web, wirelessly. Transfer files between your devices, and share files to your friends. With AirStream, stream movies, music, photos and files from your computer & cloud apps to Xtreamer and easily access your PC from your device. Easily stream any movie file from your MAC computer to Xtreamer mxV. 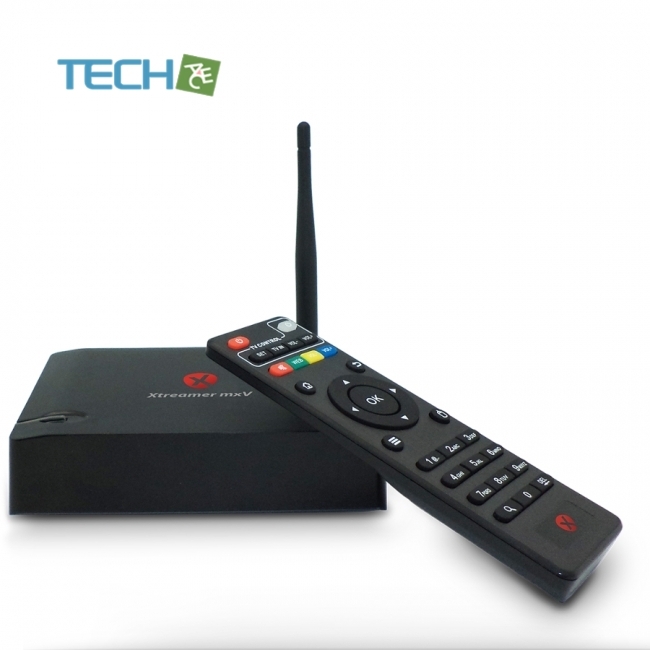 Send photos, music and videos from your mobile phone to your TV. All your moments accessible on the big screen. Your Xtreamer can receive media sent from your Apple devices, PC, and Android devices via AirPlay protocol. Your Xtreamer mxV comes built in with an enhanced support for multilingual users, allowing them to select multiple locales in the settings as well as multilingual keyboard layout setup. Android Lollipop 5.1 OS (Xtreamer Android TV OS) with OTA upgrading,and Linux openELEC OS, dual-boot and switch between them anytime. Supported Audio Format: MP3,WMA, WAV,APE,OGG,FLAC,AAC etc. DC 12V(1A) adapter included (CE, FCC, CCC certified).